I taught Freshman Composition for three years, and plagiarism was always a concern. Most of the time, it came from sloppy sourcing, though occasionally there was brazen, purposeful plagiarism. Plagiarizing in the era of Twitter (not to mention, uh, Google) is less an act of skulduggery and more one of stupidity. At the end of the day, you’re going to get caught. But neither Melania Trump nor her stepson, Donald Jr., seemed to be deterred by the inevitable discovery of their borrowed words. All of this has sent the internet into a bit of a tailspin trying to figure out exactly how this sloppy speechwriting made it into prime-time. Defenses have already sprung up for both Trumps, with Donald Jr.’s speechwriter claiming it’s all good because he copied something he’d written himself. But surely, any political operative worth a damn should know that you don’t want to use borrowed phrases, even if you’re borrowing them from yourself (just so we’re clear, this still qualified as plagiarism in my Comp 101 course, but I digress). The night after your stepmom is accused of lifting whole paragraphs from the speech of another hopeful first lady. Forget whether it’s right or wrong for a second; it just looks bad. 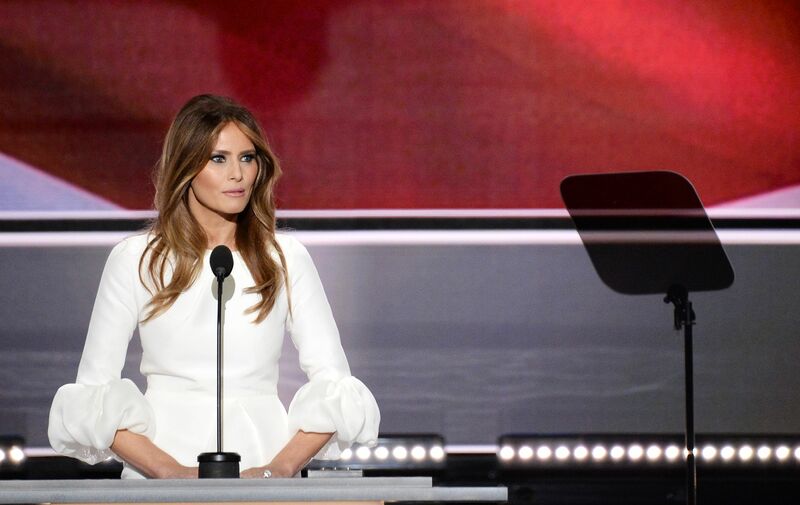 Meanwhile, my best, most sympathetic read of Melania’s speech is that some speechwriter pulled in Michelle Obama’s language from the 2008 DNC as an example of what kind of thing was needed, and just forgot to replace it with something original. What’s even stranger is that the Trump campaign refuses to own up to having committed any mistake. But as we churn on into the third day of discussing the role of plagiarism, borrowing, attribution, and (ugh) the morality of it all, I continue to struggle to find a satisfactory answer to the question: Why? To use the Sherlock Holmes axiom, “When you have eliminated all that is impossible, then whatever remains, however improbable, must be the truth,” this leaves us with just one possible answer: Maybe they did it on purpose. Hear me out. The benefits to getting caught committing some light-to-moderate plagiarism might not be readily apparent. Many decried Monday’s convention as a disaster, and Tuesday, though more on schedule, was still partially derailed by questions around Donald Jr.’s speech. The pundits continue to talk about it even today, grilling Eric Trump on his own speech Wednesday night. But there, perhaps, is the brilliance to it all. By filling up the insatiable maw of the 24-hour news cycle with back-and-forth about who took what words from whose speech and remarkably moronic statements like “this concept that Michelle Obama invented the English language is absurd,” the Trump campaign has kept the conversation away from the paucity of their candidate’s qualifications and the backwards hatred integrated into their party’s platform. Even the emphasis Tuesday night on Clinton-bashing over Trump-promoting betrayed the possibility of this intent. Look, this is just one theory, and one that can probably never be proven, short of someone from inside the campaign speaking out. But as Donald J. Trump took another (admittedly bureaucratic) step toward the presidency last night, we have to remember that we live in strange political times, and anything is possible.